Entertainment Earth has launched their Cyber Monday online deals! 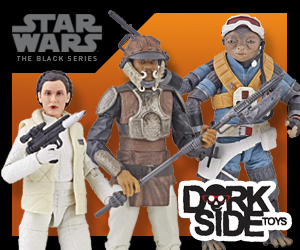 Be sure to take advantage of the savings including their Black Series Astromech Droid Set*, a set of Rogue One wave 3 figures that includes Grand Admiral Thrawn and Bodhi and much more!!! *You can see our full toyguide entry for this set here. 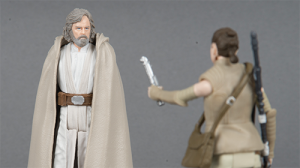 The Yakface Toyguide updates resume today with the addition of the Target Exclusive 3.75″ Force Link Return of the Jedi Battle Pack Set. PROS: Three all new figures in one 3.75″ battle pack?! Releases like that come too few and far between and this one excels. Both Emperor Palpatine and Luke benefit greatly from having two additional points of articulation (wrists) and the inclusion of the swappable force lightning hands is perfect. The sculpting for The Emperor shines above the other two figures as the texture captured in his robe harkens back to the detail applied to figures from The Phantom Menace. The results yield one of the best 3.75″ Emperor figure ever produced. Luke is not too shabby either as his proportions are nicely captured as well as the classic ROTJ Hamill likeness. Rounding out the set is the Royal Guard, which again is an excellent example of the character and I’d love to get my hands on a few more. Force Link phases are what you’d expect – classic lines from ROTJ and Palpatine also has one from The Phantom Menace. 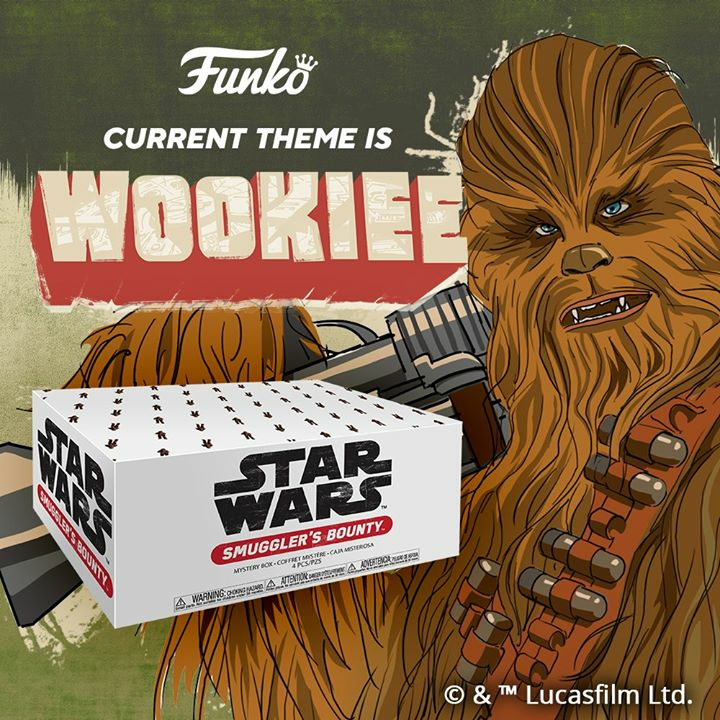 The set is also priced well for an exclusive that includes 3 new figures. CONS: None to speak of really other than the ERG’s limited Force Link effects and maybe the Luke’s hair color choice. PROS: Despite using existing tooling from previous Black Series releases, the Battlefront II Inferno Squad Agent still impresses as a figure. The bold red accents and sigils are striking as they almost have a Special Forces First Order TIE Pilot feel. The sculpting still holds up well today and the repurposed Han Solo stormtrooper belt from 2013 makes this figure stand apart from prior TIE Pilot releases. 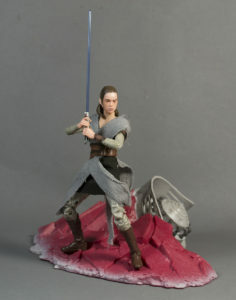 CONS: Sadly, this figure doesn’t represent the main protagonist of the Battlefront II story, Iden Versio, though I understand the need to recoup tooling costs and still make something in the spirit of the game. There were several issues in the order fulfillment for this figure from delays and dropped orders. GameStop must work on their exclusives relationship with Hasbro if they want to be a successful player in the game. (Pun intended). PROS: Sometimes a figure comes along and it is exactly what it needs to be: a perfect representation of the character as first revealed from an iconic scene in a film. No bells and whistles (aside from Force Link), soft goods or superfluous articulation required. After nearly two years, this iteration of Luke Skywalker is just that. This figure, for me, succeeds where the the 3.75″ and 6″ Black Series figures fail due to the utilization of the plastic cloak. The stoic expression is captured well in this scale and the overall sculpt of the body is nicely detailed and textured to convey fabric where implied. CONS: The Force Link phrases don’t sound much like Mark Hamill (at least in this version of the figure) and sound a tad cartoonish and generic. 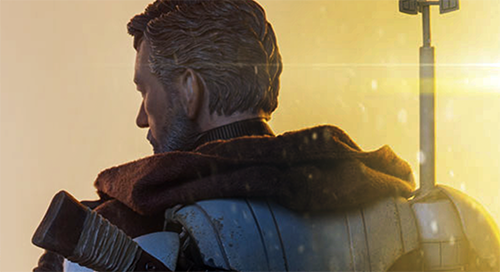 Sideshow has just revealed at SDCC their new Mythos Obi-Wan Kenobi 1:6 scale figure! 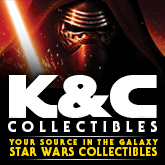 If you’re unfamiliar with the Mythos concept, check out our Mythos Obi-Wan Kenobi Statue toyguide page. 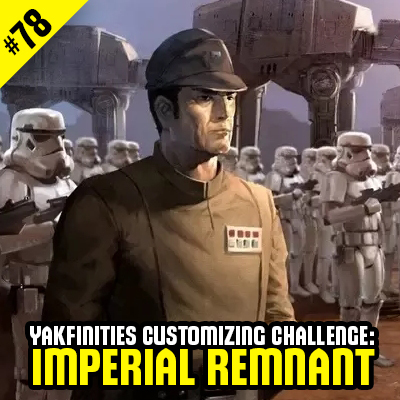 The Realm Recap returns this week to celebrate the 40th Anniversary of Star Wars! 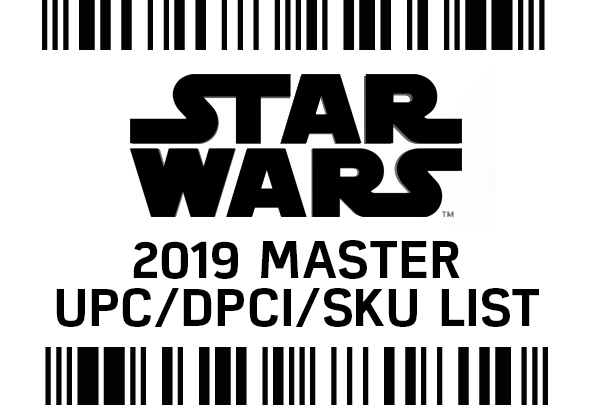 Join us as we discuss the latest in news from Hasbro, LEGO, Funko and more plus the reveal of several new images courtesy of Vanity Fair for The Last Jedi! All this and more on episode #111 of The Realm Recap! 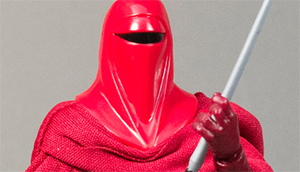 The Yakface Toyguide updates resume with our newest entry in the 6″ Black Series assortment with the Imperial Royal Guard (#38). PROS: Since its announcement, the Royal Guard has been high on collectors must-have lists. The underlying sculpt is fantastic and the tailoring of soft goods robe really adds to the overall aesthetic, allowing for a wide range of unencumbered poses. Collectors will definitely want a couple to flank the Black Series Emperor figure. CONS: The only one real negative I can find for this figure (aside from its inevitable hard-to-find status) is the included scout blaster. I feel that it is far too small in scale making it hard for the figure to hold convincingly – especially in the figure’s right hand. It should be relegated to the holster and treated as an adornment. 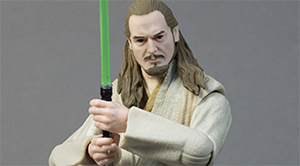 The Yakface Toyguide updates resume with our newest entry in the 6″ Black Series assortment for the venerable Jedi Master, Qui-Gon Jinn (#40). PROS: The 6″ Black Series continues to impress with its level of detail, sculpting and paint — Qui-Gon Jinn is no exception as Hasbro did an excellent job of capturing Liam Neeson’s large stature and ever-stoic personna. 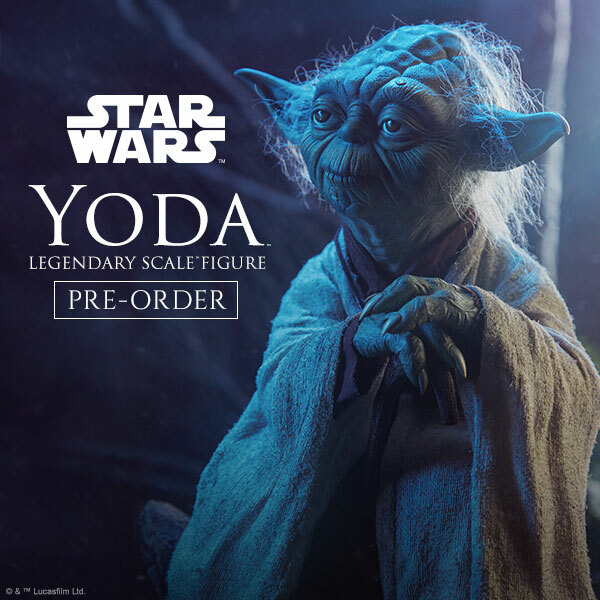 The overall sculpt of the figure is quite nice with great effort applied in rendering the different textures of the Jedi outfit. Articulation is extensive despite the lack of double-hinged elbows that would have made achieving some two-handed lightsaber stances a bit easier. 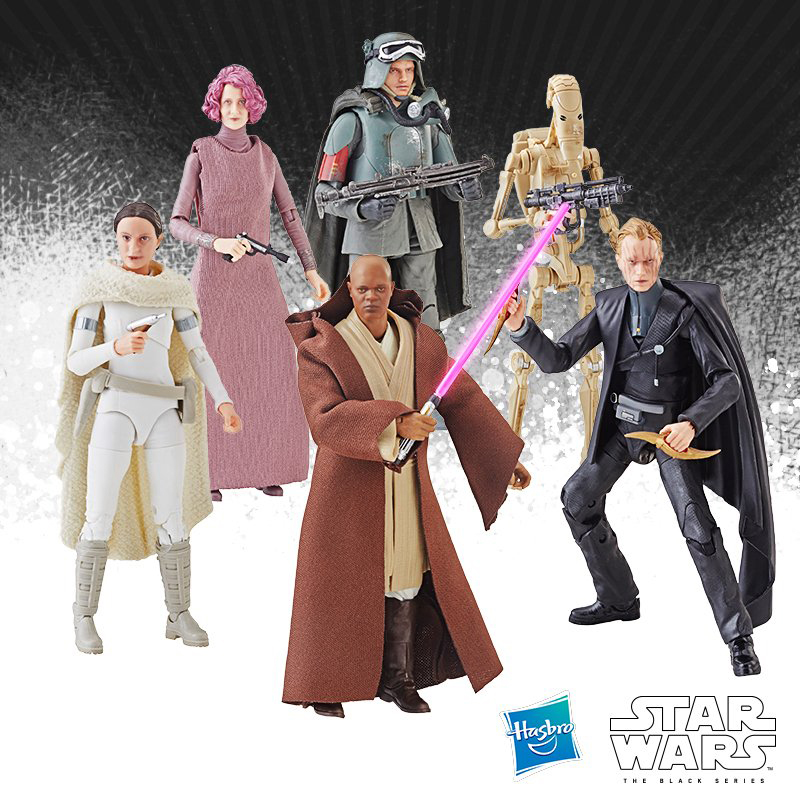 Hasbro included an extra “gestured” left hand for striking alternate poses or attempting Jedi mind tricks on your other figures. UPDATE: a new detail has been brought to light thanks to a few of our readers. The eyes for Qui-Gon are actually separately cast and painted pieces allowing for much greater accuracy and realism! CONS: The main oversight this figure contends with is the absence of a soft goods robe. Qui-Gon spent a significant portion of The Phantom Menace wearing it so it feel odd without it. Another accessory that could have been a nice bonus is the Jedi communicator (you know, the one that looks like a women’s razor). 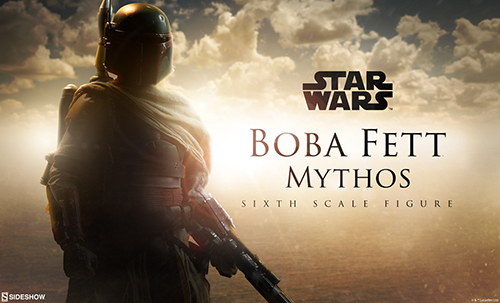 A previous 3.75″ figure has included it the past – seems a shame not to revisit it for this release.